Previous PostPrevious 1215. 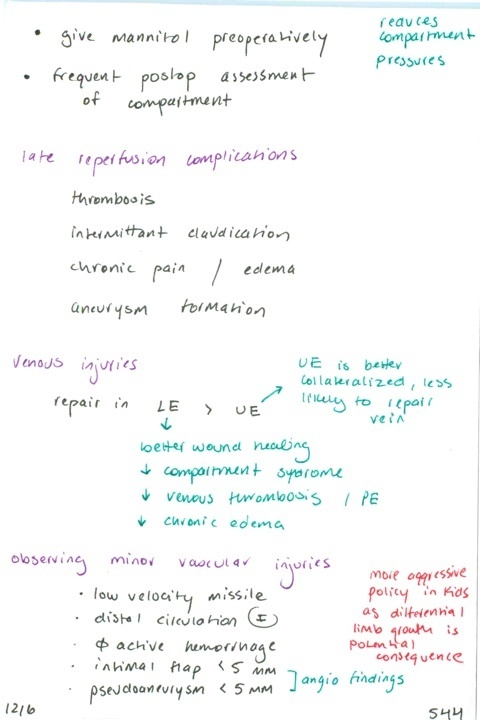 Approach to possible peripheral vascular injury in ABI/API is .9-.99 // Other modalities to rule out vascular injury // Management of bleeding if direct pressure fails // Goal BP in resuscitation of patient with uncorrected arterial injury // What is a PTFE shunt? Next PostNext 1217. Strategies for managing possible popliteal artery injury after knee dislocation // Likelihood of true vascular injury with hard signs in penetrating vs. blunt injury // Should angio be performed at peripheral hospital in proximity wounds?